AJP Construction work with local and reputable conservatory manufactures in the Bedfordshire, Hertfordshire and surrounding ‘Shires’ to provide the complete solution to customers who are looking to extend their family homes with a practical and stylish conservatory. All designs and styles are available be that Edwardian, Victorian, Lean To or Gable Front conservatories. Adding a conservatory to your home is an affordable and practical way of providing extra space and creating a pleasant addition to any family home. Today’s building standards and glass manufacturing technologies will provide you with a conservatory that is warm in winter and cool in summer. We can also design your conservatory to include fully plumbed in heating that becomes an integral part of your homes central heating system, meaning an end to unsightly plug in electric heaters. Under floor heating is another option that the professional builders from AJP Construction can offer to all our customers. 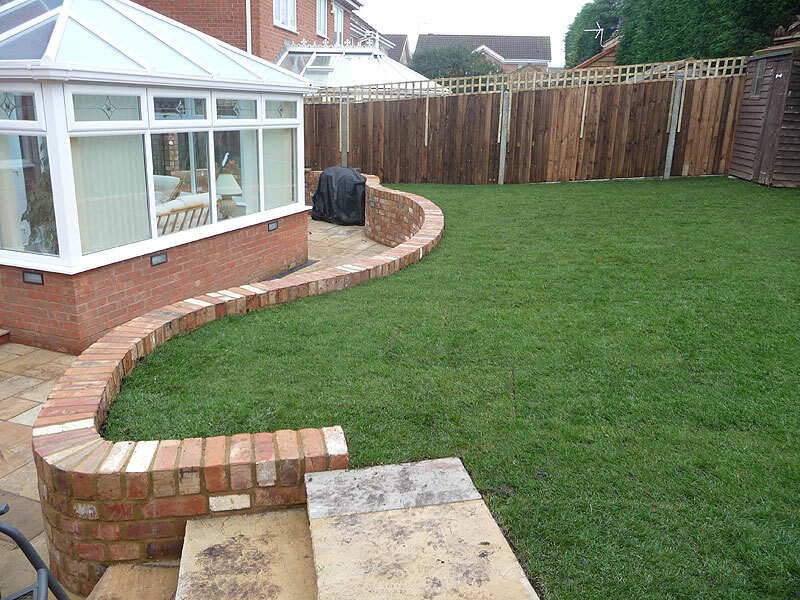 In addition to the design and construction of a conservatory, our talented team of builders also have all the skills and knowledge to design and construct hard landscaping so that the conservatory blends into the garden. One of our customers; Mr & Mrs Smith, instructed AJP Construction to build not only their brand new conservatory, but to also incorporate a new walled garden and patio into the overall design, transforming their entire rear garden.